Every brand in the food and beverage universe is looking for advantage and traction in a business environment that tends to reward the unique and disruptive. What might be most telling about the shifts in consumer behaviors today, is the emergence of belief, purpose and mission as powerful platforms that connect brands with consumers. Since the dawn of the modern marketing and communications era, brands have been preoccupied with features and benefits. Said more simply: a laser focus on the product and its attributes. Why not, after all that’s why companies exist, right? To make a superior product and convey all of the inspiration that goes on inside it? Except that with the rise in technology and the fall of barriers-to-entry in virtually every category have wrung out the ability to truly stand tall and alone on the mountain of superiority. Parity in virtually every category is a thing driven by tech advances that allow nearly everyone to come within shooting distance of each other on recipe, ingredients, formulation, design and related benefits. There are exceptions to this, but not a ton of them. Sameness is a significant challenge, because despite claims to the contrary smart and adroit, informed consumers see through the marketing haze to understand that pound for pound many brands are interchangeable on the basis of product ingredients and creation alone. Instead competition has moved now to a battle of beliefs, meaning and higher purpose. Consumers want to know what you stand for, what purpose you bring in concert with the thing you make. The campaign around Colin Kaepernick is more Say It than Just Do It. “Believe in something even if it means sacrificing everything,” is the clarion call of our age. Whether or not you side with Kaepernick on his politics, his sacrificial stand on principle serves to put his beliefs squarely on the marketing chin. Nike celebrates the outsized commitment of this fearlessness and resolve. So what does that have to do with running shoes? Everything. Consumers resonate to brands that espouse a point of view and work to enable an overwhelming desire to be part of something that is greater than themselves. Purpose, meaning and values represent an evolution of marketing best practices — as the message moves closer to honoring the greater good than just the goods themselves. This doesn’t imply that product communication is gone or will ever evaporate. Rather it means that higher purpose gains a pole position as an essential ingredient in the go-to-market gameplan. As we’ve said before here at Emergent, if your company were to disappear tomorrow from the face of the earth, what would be missing from the world that people would truly miss? You can’t answer that by saying your investors and shareholders would be unhappy. The health and wellness of people is an important thing. It transcends the ordinary trope of marketing as ‘please buy my product’ and places it in the rarefied air of being authentically helpful to people beyond the sale. Here’s the irony: the degree to which brands can embrace a higher calling and become enablers of lifestyle aspirations, the more successful they will be in earning trust and permission for a consumer relationship. To do this however, requires a more enlightened point of view about why the business exists and what it’s designed to accomplish. The goal of greater sales growth is served by emphasizing not just the sale but also a package of values that acknowledges people aren’t just walking wallets. This is not about philanthropy and it is harder than it looks. In fact, hard enough that we have designed an entire process called Brand Sustainability Analysis to help guide a brand towards discovery or refinement of its deeper meaning. Consumer insight becomes a driver to help success breakout for the very simple reason that purpose must be based on a visceral understanding of the consumer’s hopes, dreams, aspirations and concerns. The goal is to seek alignment with these interests and the brand so it can become an advisor and guide on the pathway consumers want to follow. Health and wellness is one of those important journeys that brands should support. The challenge here is the break with tradition. Features and benefit have been a default mechanism grinding the wheels of marketing for eons. We make it, we love what we make, and we sell it. To be sure. However, when trust in brands and business is at an all-time low and engagement is entirely in the hands of consumers, a different approach is required — one that will probably feel counterintuitive at first. However once discovered and embraced, higher purpose and mission can galvanize an organization to bring focus and clarity to virtually every corner of the operation. Messaging takes on a more useful tone as the organization works to genuinely improve their users’ lives. Storytelling here immediately gets more powerful and impactful because it’s also more relevant. Marketing no longer looks like marketing. It doesn’t walk, talk and look like a sales pitch. In doing so, trust can be cultivated. 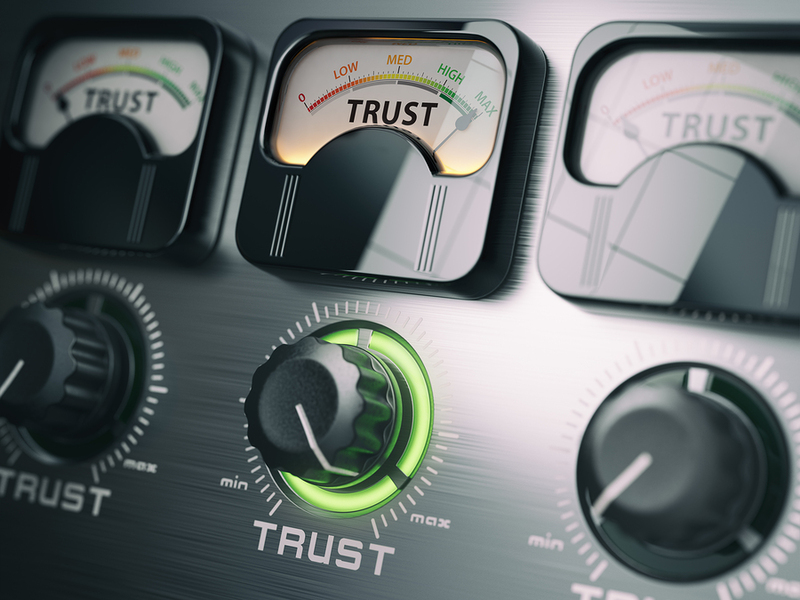 These days trust may be the most important attribute your brand can work to own. The beauty here is in the uniqueness and differentiation this path will provide. It will require courage, but nothing worth doing can be done without it.